You are here: Home / Health / 6 Healthy Heart Numbers That Count. 6 Healthy Heart Numbers That Count. 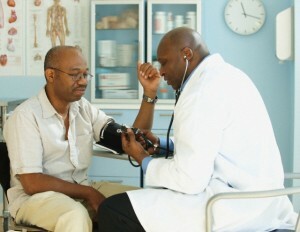 (ThyBlackMan.com) A long life free of heart disease does not come just from controlling the standard measures like blood pressure and cholesterol. Sure, keeping tabs on these indicators is essential to gauging your heart’s health, but a few other numbers—some surprising—can be meaningful as well. Take control of your health by learning these 6 numbers; they’ll help with everything from losing weight to protecting your heart. Waist size is one of the best ways to measure whether your weight is affecting your heart health. Fat cells aren’t just storage for extra calories; when body fat is packed into your abdomen, the fat cells release inflammatory chemicals and out-of-kilter levels of appetite-controlling proteins. Your risk of heart attack increases, and your risk of insulin resistance and metabolic syndrome goes up. For women, health risk begins to rise when your waist is more than 35 inches. For men, risk increases with a measurement when your waist is over 40 inches. The best way to measure? Wrap a tape measure around your abdomen at or near your belly button. Keep it snug but not tight—and don’t pull your stomach in. Triglycerides are made from the fats and carbohydrates you eat, which are converted into a form that can be stored in fat cells. Triglycerides are also released from fat tissue when the body needs extra energy between meals. It’s normal to have some triglycerides in your bloodstream, but high levels are linked to coronary artery disease—especially in women. When you have high triglycerides paired with low HDLs, your risk of insulin resistance and metabolic syndrome may be increased. A normal triglyceride reading is less than 1.7 mmol/l. Your doctor will advise you how often you should have your triglycerides checked. Your pulse is the number of times your heart beats in one minute. Regular monitoring of your resting pulse first thing in the morning will help you to see if your workouts are strengthening your heart. For example, a normal resting pulse rate is 60 to 90 beats per minute. People who are fit tend to have lower resting pulse rates because their heart muscles are in good shape. But if you don’t exercise regularly and your heart rate is lower than the normal range, tell your doctor—it could be a sign of heart disease. How to check: You’ll need a clock or watch with a second hand. The pulse is best measured at the wrist or neck, where an artery runs close to the surface of the skin. To measure the pulse at your wrist, place your index and middle fingers on the underside of the opposite wrist. Press firmly with the flat of your fingers until you feel the pulse. Find a neck pulse either side of your Adam’s apple: just press your fingers into the hollows wither side of your windpipe. Once you’ve found your pulse, count the beats for 15 seconds and multiply by four—this will give your pulse rate in beats per minute.